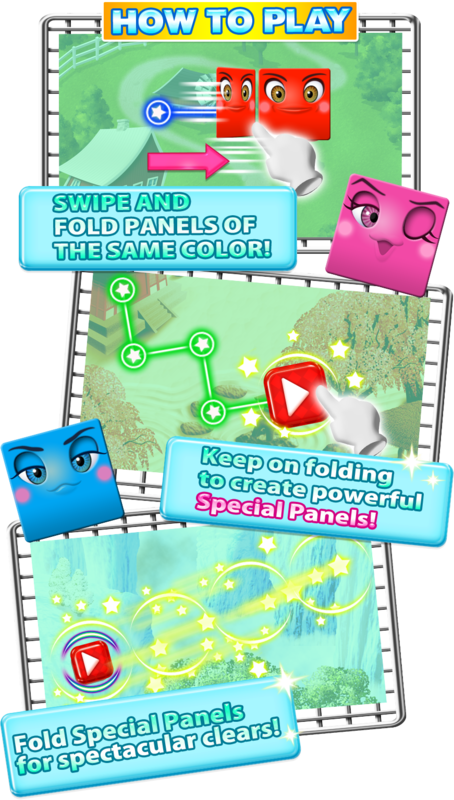 Swipe and fold panels of the same color! Fold a lot,and special panels willappear! Use special panels to erase many panels!